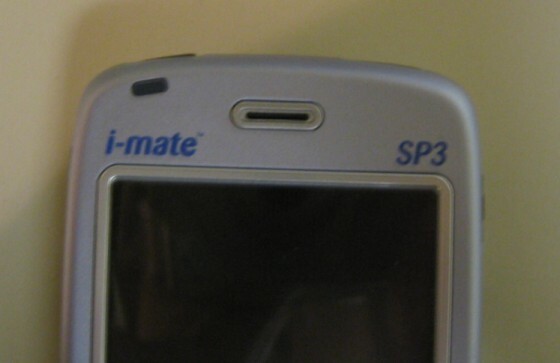 The i-mate Smartphone 3 (or SP3 for short) is based on the HTC Typhoon and is one of the most desired Smartphone device ever. You may also know the device under the Audiovox name as the SMT5600 or as the SPV C500. 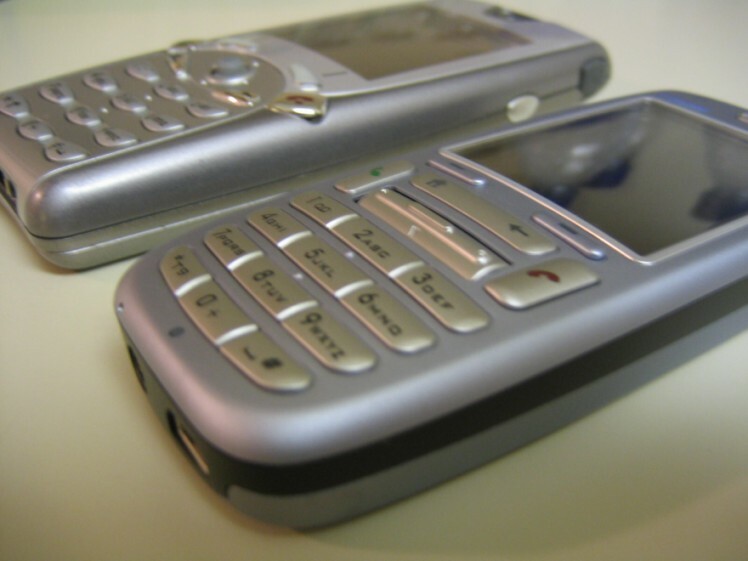 The SP3 is a small cell phone that packs a punch...that punch being Windows Mobile 2003 Second Edition for Smartphone. On top of its size and functionality, the SP3 is one of the first Smartphone devices to include Bluetooth and use the new miniSD memory format. In case that was not enough a VGA camera was included and a battery touting the longest battery life for a Smartphone, rivaling the battery life of a "plain" cellphones. The SP3 is powered by a 200 MHz TI OMAP processor. Running Windows Mobile 2003 Second Edition for Smartphone, the SP3 has 64 MB of ROM space and 32 MB of RAM space. For connectivity, IrDA and Bluetooth are both included. The wireless module for the device is for GSM/GPRS networks. At a relatively standard size, the SP3 is 0.69 inches thick with a weight of 3.75 oz. The battery in the SP3 is one of the most powerful on the market, with 1050 mAh of power. 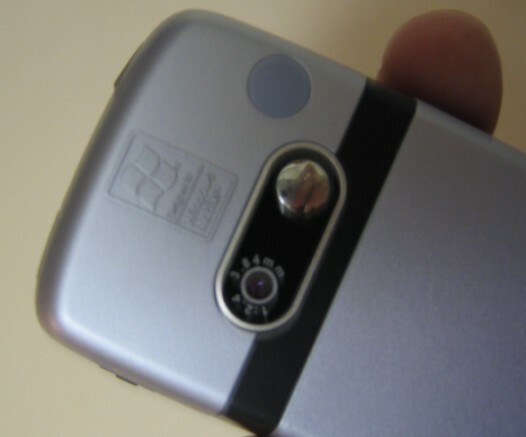 Also included in the Smartphone is a VGA camera for taking both photos and video. The SP3 has a, what I would define as, cobalt blue case. It is a relatively standard style cell phone, with the most noticeable features being its relatively large screen, the number of buttons surrounding the directional pad, and the directional pad itself. 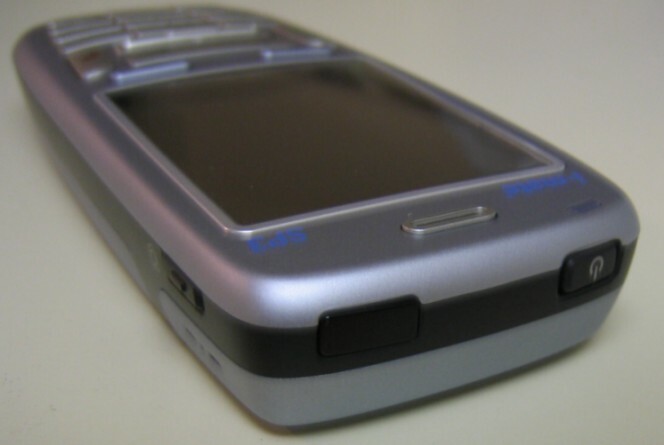 The front face of the device includes all the navigation buttons, the standard keyboard, a small slit at the top which is the ear piece, and a the notification light. The top of the device has the power button and IrDA port. Each side of the device includes buttons. The right side the camera button, the left the volume/earpiece control. 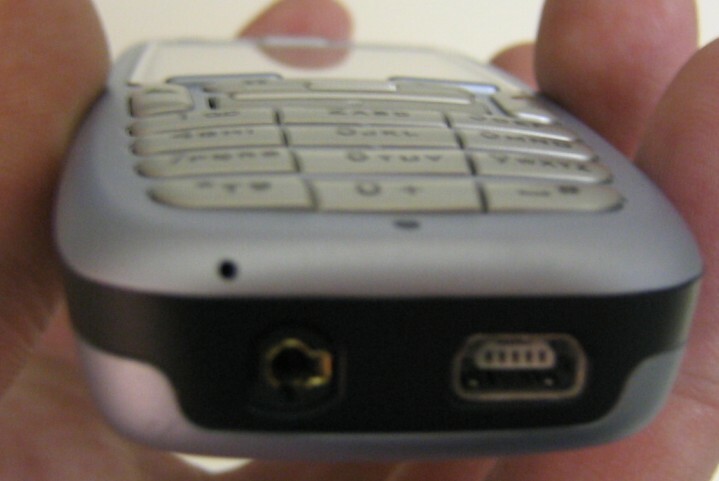 The bottom has sync port (a standard USB connection, not proprietary), headset connector, and the microphone (which is slightly on the edge instead of being on the bottom with the ports). 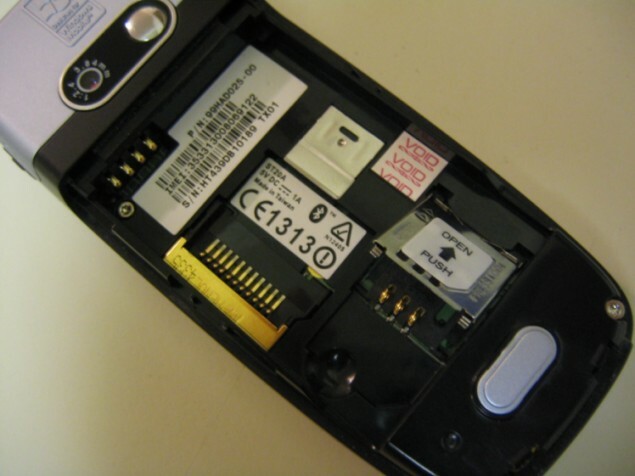 The back has the VGA camera and under the battery is the slot for a miniSD card and the SIM card. The phone is a standard thickness at 0.69 inches which makes it fit easily in the pocket of just about anyone. 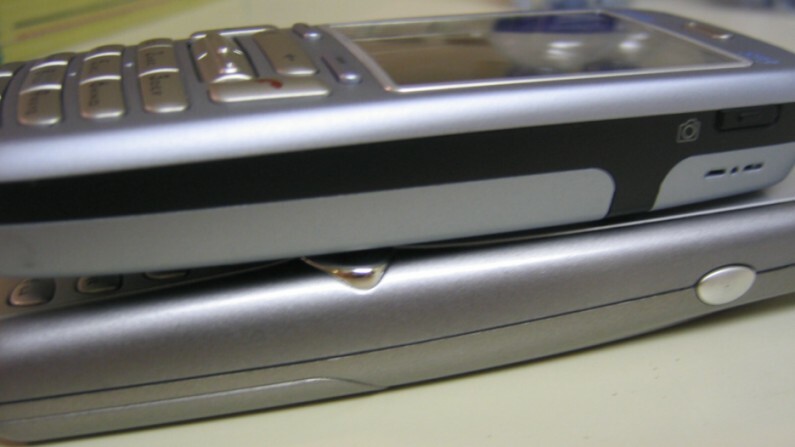 Being that Microsoft Smartphone devices are phones first and PDA's seconds, I only see it fitting to start by talking about the phone functionality. The SP3 connects to a GSM/GPRS network. 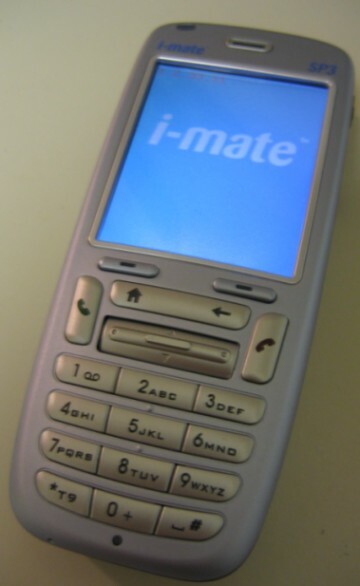 Again an i-mate device was able to get me service in some locations where other phones would not. The phone is small and fits well in your hand when you are trying to talk on it. Since the earpiece is flush against the device and is only a small slit, it leaves a little something to be desired quality wise, but it still pretty good in most cases. I have not decided if I like having the headset port on the bottom or not since with other Windows Mobile products I am used to it on the top, however my non Window Mobile phone it is on the bottom. But with the included Bluetooth, I usually used a Bluetooth headset instead. I think it would be ideal if Bluetooth could be turned on by a button press as I usually only found I was using it around my desktop computer (either with the headset or to sync). The rest of the phone functionality is pretty much standard to Windows Mobile for Smartphone, so other devices would act similarly. When it comes to being a PDA, a phone has some shortcomings. One is input, though Windows Mobile for Smartphone has some ways to try and work around that. One things I like on the SP3 is the T9 designation on the * key so you know that is the button to use for changing input modes. The keys are alright for inputting with, but the middle buttons (the 2, 5, 8 and 0) have a softer feel than the others. Also, while there is a clear division between rows of buttons, there is not between columns which makes "touch typing" more difficult. i-mate (more specifically HTC) did a go job augmenting Windows Mobile with a couple of extra programs. The SP3 includes a number of utilities including a file manager, free space checker, and task manager. These are three programs I like to have to be able to better control my device. Also included were some nice configuration programs, one of which allows you to most easily setup a Bluetooth connect for ActiveSync. Since Smartphone is not stylus driven, the direction pad is particularly important to navigation and general use of the device. The SP3 has a different style directional by which focus on easy of up/down action, with the right/left being on either edge of the pad. This was a good idea since most of the navigation with Smartphone is up/down, not left/right. The other function of the directional pad that is highly used is action (pressing into the directional pad). Often I found when trying to chose an item I would move my selection down instead. I have noticed this as a pretty standard problem with directional pads where the action "in" is difficult to press. The SP3's directional pad does not solve this problem. I am really not excited about the whole miniSD trend in Smartphones. i-mate decided to have the SP3 include miniSD which means no SDIO, which means no way to use WiFi (at least right now). So the first red flag on expandability for me is miniSD as I would really like to use WiFi with the phone in some applications and would like to be able to use the SD cards I already have bought and use with all my other device. The second red flag is the location of the miniSD slot, which is under the battery. This means in order to switch cards, the battery has to be taken out. This is not good when you have a 512 MB card that you want to plug in your card reader or when you have a series of 128 MB cards that you use at different times. A vibrant screen is always a good thing to be able to see what is on your screen, though a vibrant screen can also mean poor battery life. The SP3 has a strong screen, which makes its good in most any light. 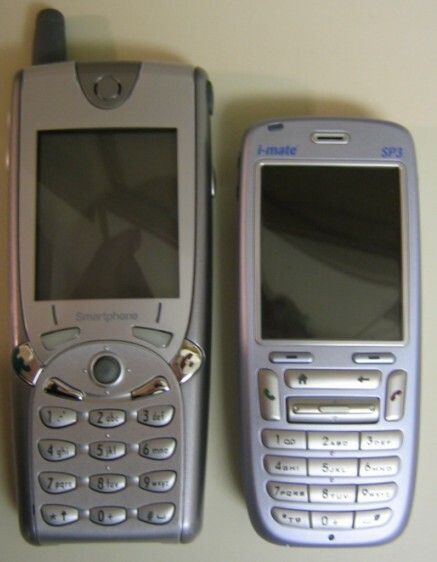 Unlike Pocket PC, a Smartphone does not have the same dynamic brightness control to help conserve battery life. You can set the phone to dim the screen quickly and then turn it completely off after a set number of minutes. The only problem I found with this is that a number of buttons will relight the screen. While it will time out and turn back off, I have found a number of times where the screen was already on when I did not expect it to be. The battery on the SP3 is one of its best qualities. With 1050 mAh of power, the battery is much stronger than most other phones. For the last four days I have been using the device without charging it at night like I normally would. This includes 45-60 minutes of calls per day, about 30 minutes of "PDA use," and Bluetooth only being on for use of a headset or for syncing. Battery life is not a problem for my use as I charge almost every night, but the battery life on this device is strong if you need it. The VGA camera is a nice addition to the device. Included on the SP3 is a program called Photo Contacts for adding pictures to you caller ID screen. The camera photo/video program is easy to use, with the photo part saving in only JPEG and the video in a number of formats including MPEG-4 and AVI (both not playable by the included Windows Media Player). The camera button on the side of the SP3 will launch the camera program in whichever mode it was last in. It took me a while to realize this so a number of times I thought I was taking videos when I actually was taking videos. When it comes down to it, I was hoping I would like this device a lot more than I did. There has been quite a bit of hype on this device and I am not sure if it quite lives up to its reputation. Do not get me wrong, the SP3 is a strong device. It is well constructed, powerful, and has great battery life, but there are still a few things I think could have been fixed or tweaked to really make this device as "killer" as everyone said it was. Its price tag is just under $500, which may be a little hefty for a phone if you are comparing it to some of the PDA devices on the market. The i-mate SP3 comes unlocked so it can easily jump on the T-Mobile network in the US. The SP3 is a good purchase if you want a small and powerful Windows Mobile Smartphone, primarily to be used for phone use, text messaging, and data internet service. The SP3 is a good device and see what I the hype was about, but it my use, there was still a little to be desired. This means, this product is a very good product, though has some features which could be improved. This product embodies quality in its design and application, and is something I would use though I think there are still areas for improvement. Weigh the pros and cons before purchasing, but in my opinion this device is a good buy.